The Dwight D. Eisenhower Presidential Library and Museum is one of The 8 Wonders of Kansas because it tells of the remarkable lifetime achievements of Dwight D. Eisenhower, five-star General and President of the United States! Dwight D. Eisenhower commanded the greatest amphibious military operation in history, the 1944 Allied invasion of Nazi controlled Western Europe. His many military achievements are interpreted superbly in the galleries at the Eisenhower Museum. He is the only five-star General to become President of the United States. The displays interpret the highlights of his two terms (1953-1961). Significantly, his administration initiated the nation's first civil rights legislation in ninety years. He also sent Army troops when nine black students were intimidated into leaving Little Rock Central High School in Arkansas. 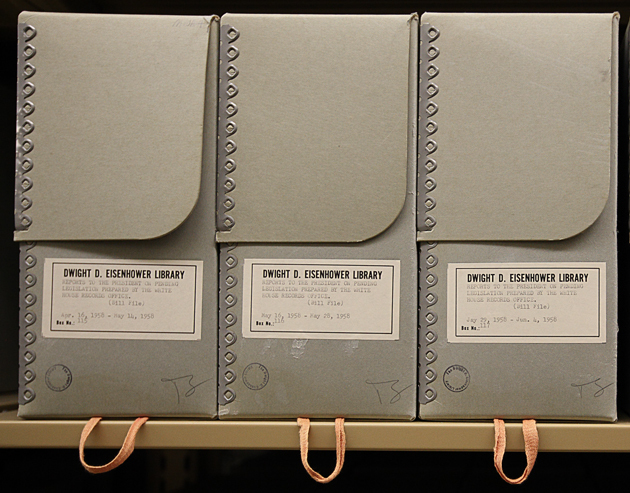 More than any other president, Eisenhower was responsible for the Interstate Highway System. He was also so highly skilled in public relations that he seized the opportunity to become the first "television president." 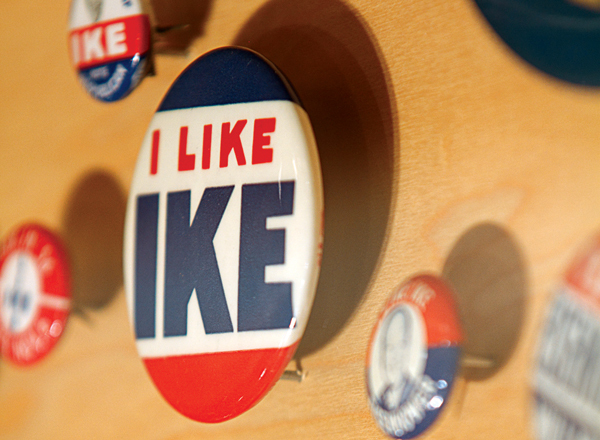 Five galleries at the Eisenhower Museum tell the story of Eisenhower from his childhood days in Abilene through his retirement years. One gallery represents the life and lifestyle of one of America's most beloved First Ladies, Mamie Eisenhower. Visitors can also tour the nineteenth-century wood-frame house, located on its original site, where the Eisenhower's lived from 1898 until the death of the President's mother Ida in 1946. The Place of Meditation is the final resting place of the President, his wife Mamie, and their first-born son, Doud Dwight. $10 adults, $9 senior citizens 62 & over, $2 6-15 years. Admission fee includes admission to all building. All buildings at the Center are open daily from 9 a.m. until 4:45 p.m. but are closed Thanksgiving, Christmas, and New Year's Day. Summer Hours - June & July: 8:00 a.m. - 5:45 p.m.